Even before Trump's oldest child, Don Jr., was born, Donald told friends that he wanted at least five kids—to make sure there was a greater probability one would turn out just like him. 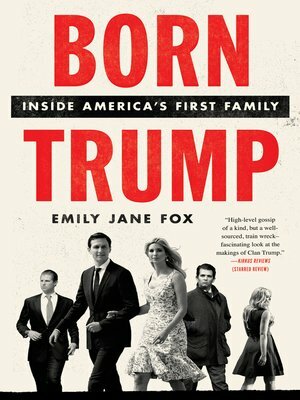 His vision didn't pan out exactly as he'd imagined, but Trump's children each inherited some of his essential traits—as one source says, "collectively, they make the whole." While Tiffany grew up mostly separate from her father, she inherited Trump's perspective as an outsider—his unique combination of assurance and insecurity. Come for the vision of Trump as a father—a portrait of the president at his kindest and cruelest. Stay for the revelatory gossip, including the truth about the firings of Christie and Manafort, the inside scoop on Donald's three marriages, why Ivanka and Jared are "bashert," and how this family of real estate tycoons have become the most powerful people in the world.